No one should sacrifice eating healthy just because of your busy schedule. Gather these ingredients for a yummy meal that will energize you. Are you ready to whip up a quick but nutritious meal? 1. Combine all the ingredients except the ones for the dressing. Set aside. 2. For the dressing, mix fish sauce, lime juice, water, sugar and chili garlic sauce in the Chefs' Classics Camomile Sauce Pan. Stir until sugar is dissolved. 3. 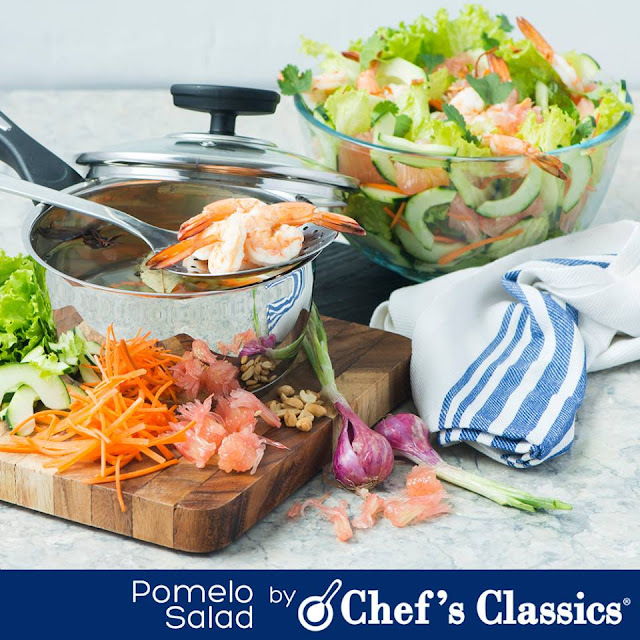 Serve the pomelo salad on a plate with dressing on the side.